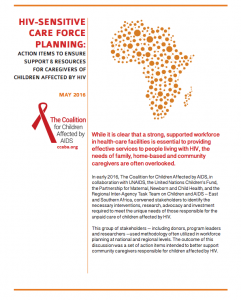 In February 2016, the Coalition hosted a meeting focused on HIV-sensitive “care force” planning for children. 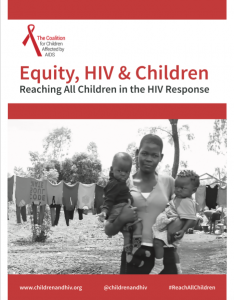 Donors, program leaders and researchers came together to identify the necessary interventions, research, advocacy and investment required to meet the unique needs of those responsible for the unpaid care of children affected by HIV. Presentations from this meeting can be found here. 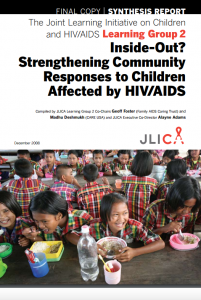 In advance of AIDS 2012, the Coalition hosted a two day meeting focused on ending vertical transmission through community action. All presentations from these meetings are available here. 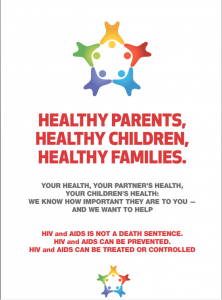 The Coalition produced this brochure for community organizations to adapt and use with families affected by HIV and AIDS. 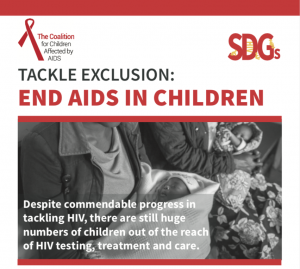 Strengthening communities so they can respond to the HIV/AIDS crisis is critical for today’s children and vital for future generations. 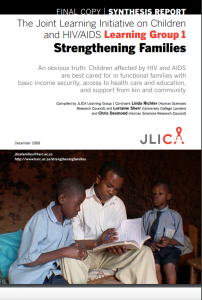 Children affected by HIV and AIDS are best cared for in functional families with basic income security, access to health care and education, and support from kin and community. 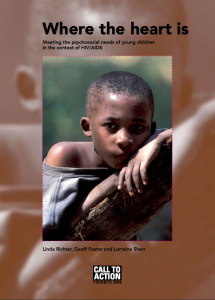 In 2012, Coalition member, Linda Richter, edited a special issue of the Journal of the International AIDS Society. 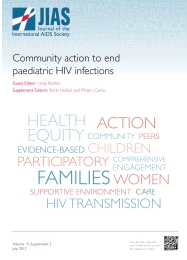 The issue focused on Community action to end new paediatric HIV infections. The full issue is available here. 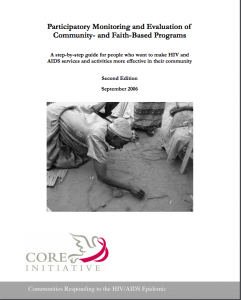 A step-by-step guide for people who want to make HIV and AIDS services and activities more effective in their communities. 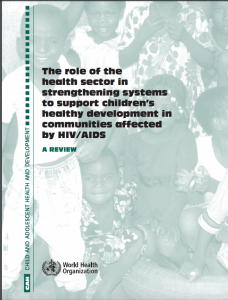 This document is a review of the scientific evidence and practice experience in providing what has come to be called psychosocial programming and support for children infected with and affected by HIV, and their caregivers. 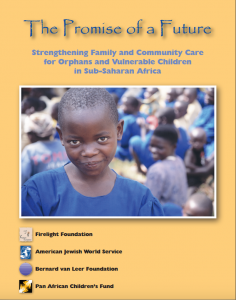 This brief report, co-produced by the Firelight Foundation, the American Jewish World Service, the Bernard van Leer Foundation and the Pan-African Children’s Fund, addresses the devastating impact of HIV/AIDS on children and families in Sub-Saharan Africa.